There is a show of our movie “Nikotoko Island” this week. Nov 27&28 at Neues Kino, Basel. 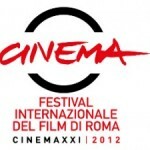 The selection of CinemaXXI(of the 7th Rome Film Festival) has been finally announced. STONE, SONG AND PETA by Takuya Dairiki & Takashi Miura is selected! Our movie “Nikotoko Island” is shown in this event. Our movie “Nikotoko Island” and “Helpless Stones” are shown in this event. “Helpless Stones” can watch on MUBI. Our web site refreshed with a new design.